Bills Introduced: In both the House and Senate, any number of members may join in introducing a single bill or resolution. The first member listed is the sponsor of the bill, and all members’ names following his or hers are the bill’s cosponsors. 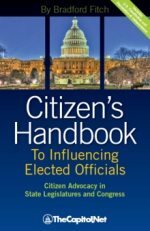 Many bills are introduced under the name of the chairman of the committee or subcommittee with jurisdiction over the measure. All appropriations bills fall into this category. A committee frequently holds hearings on a number of related bills and may agree to one of them or to an entirely new bill. Any member, delegate or the resident commissioner from Puerto Rico in the House of Representatives may introduce a bill at any time the House is in session by simply placing it in the “hopper,” a wooden box provided for that purpose located on the side of the rostrum in the House chamber. Permission is not required to introduce the measure. The member introducing the bill is known as the primary sponsor. Except in the case of private bills, an unlimited number of members may cosponsor a bill. 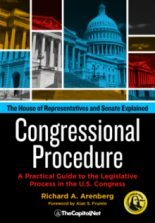 To prevent the possibility that a bill might be introduced in the House on behalf of a member without that member’s prior approval, the primary sponsor’s signature must appear on the bill before it is accepted for introduction. Members who cosponsor a bill upon its date of introduction are original cosponsors. Members who cosponsor a bill after its introduction are additional cosponsors. Cosponsors are not required to sign the bill. 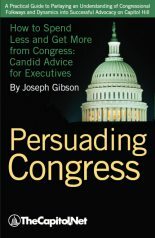 A member may not be added or deleted as a cosponsor after the bill has been reported by, or discharged from, the last committee authorized to consider it, and the Speaker may not entertain a request to delete the name of the primary sponsor at any time. Cosponsors’ names may be deleted by their own unanimous-consent request or that of the primary sponsor. In the Senate, unlimited multiple sponsorship of a bill is permitted. A member may insert the words “by request” after the member’s name to indicate that the introduction of the measure is at the suggestion of some other person or group-usually the President or a member of the Cabinet. 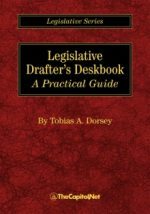 In the Senate, a senator usually introduces a bill or resolution by presenting it to one of the clerks at the presiding officer‘s desk, without commenting on it from the floor of the Senate. However, a senator may use a more formal procedure by rising and introducing the bill or resolution from the floor, usually accompanied by a statement about the measure. Frequently, senators obtain consent to have the bill or resolution printed in the Congressional Record following their formal statement. Bills Referred: When introduced, a bill is referred to the committee or committees that have jurisdiction over the subject with which the bill is concerned. Under the standing rules of the House and Senate, bills are referred by the Speaker in the House and by the presiding officer in the Senate. In practice, the House and Senate parliamentarians act for these officials and refer the vast majority of bills. 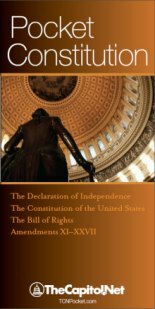 See also Bill; Cosponsor; Report; Clean Bill; By Request; Recede and Concur with an Amendment; § 6.20, Drafting and Introducing Legislation, in Congressional Deskbook; Chapter 2. 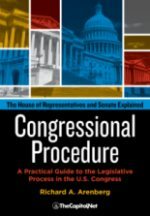 Introduction of Legislation, in Congressional Procedure.